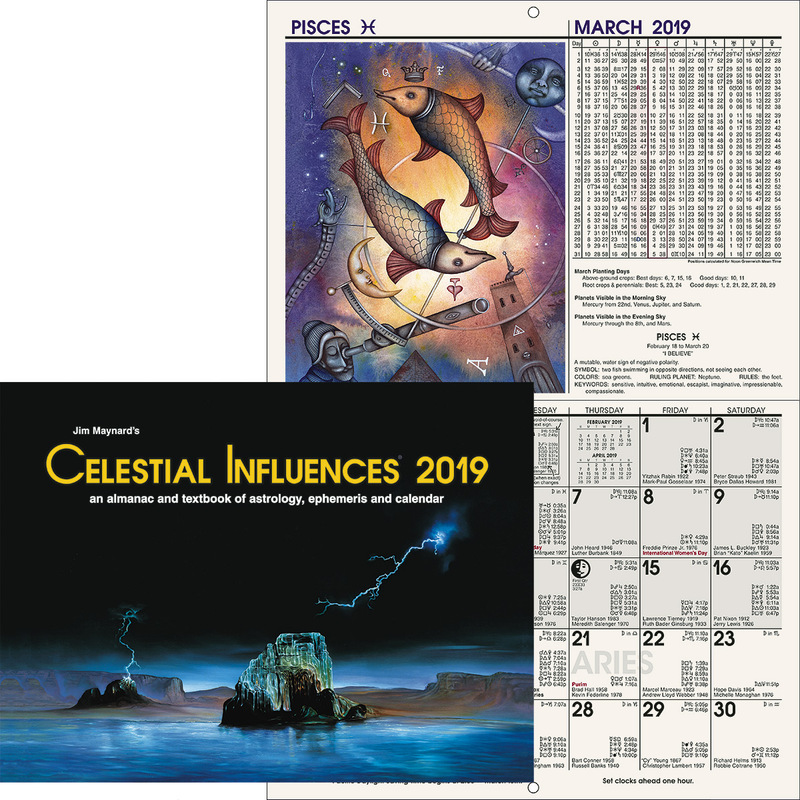 SINCE the world entered the Pluto Period of the Aquarian Age with the discovery of the tenth orb of our solar system March 12, 1930, cooperation, which Pluto rules, has gained a position of importance which is far superior to that which it has held at any time in previous history. Cooperation among certain nations, in response to the Lower-Pluto influence, may be the greatest threat of destruction to civilization. But on the other hand, the eventual cooperation of all the important nations of the world, in response to the Upper-Pluto influence, is the only hope that modern civilization can be preserved and advanced to make the world a happy place in which to live. Yet any effective cooperation between individuals or between nations implies that each shall understand the character of the other. Without cooperation between men, mankind would be like the spiders; for they are among the few animals that have with each other almost nothing in common, no two occupying the same web for long. Or they would be like the grizzly bears, who also are hermits, avoiding contact with their fellows. But we look upon neither the spider nor the grizzly bear as examples for human emulation. Each is the most ruthless savage, the spider of that phylum of animals containing more species than any other, the Arthropoda, and the grizzly of the highest class of animals, the Mammalia. The history of human evolution is the history of forming cooperative groups. First the savages united in the family. When the family group became stabilized and various families united in a cooperative effort to repel invasion and procure food, another step had been taken toward civilization. Family life resides at the very core of human progress. Next, when various tribes composed of united families came together under a common leadership and for a common purpose, there was formed a nation. Then when such a nation had been stabilized over a sufficient period of time savagery vanished and barbarism took its place. These steps in progress are clearly illustrated by the North American Indian. Existing in isolated groups he is found with little culture even for a savage. But where numerous tribes became banded together under a common leader, savagery vanished, and he rose even above barbarism; for ancient Mexico furnishes examples of culture and government that may well be styled civilization. Undoubtedly the nation is a link in the chain of upward progress. But so long as each of the various nations of the world strives mightily for its own advantage, with little consideration of the suffering it may bring to other nations who have thus been deprived, there will be periodic conflicts which will threaten the destruction of civilization. There can be no permanent peace in the world until all important nations find the common basis for cooperating, not to gain an unfair advantage for one or a few, but in the effort to produce and distribute in a manner advantageous to all, the material things people need for the most abundant type of life, and the spiritual doctrines which, based on the laws of nature as they actually operate, alone lead to happiness. The greatest obstacle to taking this final step in cooperation, which is the only way periodic destruction through vast wars can be avoided, is the failure of each race and nation to understand the motives and characters and needs of the other races and nations. It is not, I believe, as some think, that people do not desire to agree—for the vast majority are convinced of the futility of periodic wars—but that they do not know how. They are not sufficiently versed in each other’s characters, and hence cannot exercise the skill necessary to bring about agreements which otherwise could be made of advantage to all. Nor, as a rule, do I find the people whom I meet—and I have met a most wide variety—desirous of antagonizing other people. Mostly they wish to get on well with their fellowman, and to do a small part at least, toward keeping the affairs of common interest to mankind moving in the proper direction. But some of them do not get on well with others, not so much through perverseness as because they do not know how. Having little knowledge of the indexes of character they persist in doing the very things, unwittingly, that annoy and arouse antagonism in those with whom, to be themselves successful, they should cooperate. There can be no doubt that the ability to judge character quickly and accurately gives a person a great advantage. He perceives both the strength and the weakness of the person with whom he is dealing. He is able, through appealing to his likes or through taking advantage of his weaknesses, unduly to influence him. But this phase of the matter, so often emphasized by those who teach character analysis, and so often, alas, taken advantage of by the semi-confidence man who studies character analysis and practical psychology for the purpose of forcing a victim to buy what he does not need at a price several times too high, is the inversive, or Lower-Pluto side of the matter. It is but another instance, of those increasing in variety, of a power that should be used for construction being used destructively. The constructive, and more important, phase of the matter, is to impart such knowledge as will enable one person to cooperate to the highest extent, and with mutual advantage to all, with any other person with whom he may be brought into contact. Few men rise to great achievement without the ability, in considerable measure, to read character. The person who employs others must be able not only to judge his employees as to their integrity, but he must know whether a particular person is fitted for a certain type of work. He must, when hiring a man, perhaps, pass judgment on whether the latter has the ability to think quickly and to carry responsibility well. To the employee the ability to read character is no less valuable, for it enables him to avoid the inconsequential actions and words which may, perhaps, prove particularly annoying to men of the type of his employer. It not only enables him to render better service through avoiding friction with his fellow employees and his employer, but it enables him to determine just the kind of service required and just how much initiative he is supposed to take, in order to rise rapidly to better positions. In the home, also, the ability to read character is valuable. If husbands better understood the characters of their wives, and if wives better understood the characters of their husbands, there would be far fewer separations. Marriage, when successful, is a mutual adjustment of the tendencies of one person to the tendencies of the other. But anything like a satisfactory adjustment demands that both shall understand not merely what each states to be the likes and dislikes—for without character analysis few persons understand themselves—but that each shall have a comprehensive grasp of the true character of the other. Having indicated how important in the lives of most individuals and in the destinies of nations and civilization ability to appraise character is, the next step is to consider how it may be accomplished. I am convinced that there is no better index to character, no better method of judging ability, and no system more reliable in determining where success will be greatest for energy expended, than natal astrology. Natal astrology, however, requires that the birth data be known. It requires also considerable special ability, and the time to erect a birth chart. Very frequently it is inconvenient, and sometimes impossible, to get the birth data. 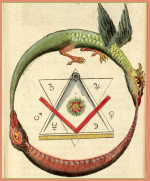 In the ordinary run of life one meets people under circumstances where an instant estimate of their characters and abilities must be made, which sometimes may, and sometimes may not, later be verified at leisure by the erection of an astrological birth chart. And it is for the purpose of making such quick estimates of character, when it is not feasible to use birth charts and thus acquire greater details, that these four lessons on character reading have been written. 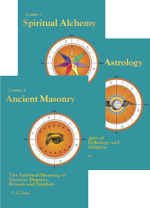 As has been explained in a number of the B. of L. courses, and in considerable detail in Courses V, Esoteric Psychology, IX, Mental Alchemy, and X, Delineating and Progressing the Horoscope, the character, or soul, is the sum total of all past experiences. These experiences, through their accompanying states of consciousness, have added energy to the astral body. They, of course, include those rates of energy imparted by the mother to the child’s astral body during gestation; for the mother provides the environment during this period, and this environment—even as do both earlier and later environments—affords experience for the evolving soul. The character at birth, then, is the sum total of all the energies that have been added to the astral body during its evolution through innumerable lower life forms before its birth into a human body. In the course of its evolution through these lower forms of life the requirements of environment have evolved states of consciousness, or intelligence factors, relating to its survival. One set of these intelligence factors revolves about the universal urge for self-preservation through seeking safety, another set revolves about survival through aggression, another set revolves about the care of the offspring, etc. Furthermore, these intelligence factors are organized into thought cells and thought structures. The astral body is thus composed of the psychoplasm of experience organized into thought cells and thought structures; and these are mapped by the chart of birth. The prominence of a given planet in the birth chart maps the power of the thought cells of corresponding quality in the astral body. The position of the planet in the birth chart is not the cause of certain qualities of character. The cause of the qualities the planet’s position and aspects indicate lies in the thought cells and thought structures which it merely maps. But it does map the strength of a particular family—one family of the ten—of thought cells as they are present within the astral form, and their harmony or discord and relationship to others of the ten families of thought cells that are also present within the astral body. The character, as we discern it, is the external expression of the energies of the thought cells and thought structures which the planets merely map. As will be explained in more detail in Chapter 5 (Serial Lesson 122), the physical body in its growth, and in the replacement of tissues in later life, tends, insofar as it has materials at hand with which to do so, to reproduce the astral body in physical substance. The physical body thus, in its shape and structure, is built according to the pattern of the various thought cells and thought structures and their interrelations, as these at the time reside within the finer form. Therefore, by becoming familiar with the particular physical characteristics by which each family of thought cells tends to express its power or weakness, we have a guide to the power or weakness of the given thought family. Then from knowledge of the relative power and intensity and interrelations of the thought-cell families thus revealed, we may form an opinion regarding what the person thus appraised will do under given circumstances, and can make a just estimate of his abilities. It will now be apparent that the whole art of instantaneous character reading is based upon ability to judge by the external form and actions the intensity and relations of the various mental factors that persist as thought cells and thought structures within the finer body and constitute the character, or soul. Usually, when it is desirable instantly to form an opinion about a person’s character or ability, the object sought is to determine if he is suited to fill a certain place, if he is a reliable person, or how he will react to a certain situation. Under such circumstances the requirements of the occasion do not call for a minute analysis of the character in all its aspects, but rather a judgment relating to a few qualities that have a direct bearing upon the matter at hand. And although practice will enable a person at a glance to note a wide variety of character expressions, and thus instantly form a very reliable opinion about the character and abilities even in minor details, yet the chief end sought in instantaneous character reading is to be able to single out those marks of character which indicate the qualities relevant to the matter at hand and pass instantaneous and correct judgment upon them. In considering these external characteristics, by which the inner character may be judged, it will be advantageous, insofar as possible, to commence our studies with those that are most obvious and easily noticed, and proceed gradually to those which require more minute observation and detailed analysis. One of the most familiar methods by which people describe each other is to class them as blonds or brunets. That this method of description is so popular proves that it is a distinction commonly and easily recognized. 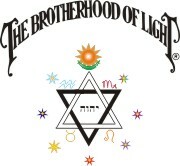 The races of the world readily fall into the category of light peoples and dark peoples. Likewise, among the white races, there are light whites and dark whites. The Nordic people are blond, the Alpine people and the Mediterranean people are brunet, yet these three races are all white, and the population of Europe as well as that of America is very largely a mixture, in varying degree, of these three white types. 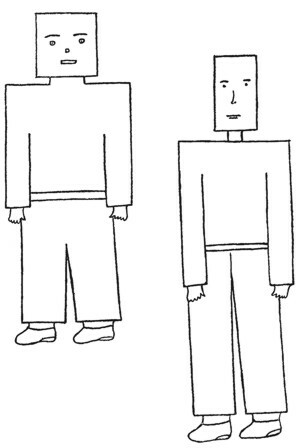 Some people by their blondness, by the ranginess of build, and by the high-crowned, long, narrow heads, instantly show the characteristics of their Nordic ancestry. Some people, by their brunetness, by their rather frailness of build, and by their long, narrow heads, show the characteristics of their Mediterranean ancestry. And still other people, by their brunetness, by the rather short and quite stocky build, and by their low-crowned, broad heads, show the characteristics of their Alpine ancestry. But unless we are very careful we are apt to get the cart before the horse and conclude that races have certain characteristics because they are fair, or rangy, or brunet, or thickset, when the reverse is the case. There is a constant action of environment to produce thoughts of a certain type, and these thoughts influence the shape of the head, the form and size of the body, and the color. Environment has a temporary influence directly upon the body, as when abundant food nourishes, or lack of it depletes, or when the sunlight produces a darkening of the skin. But the more permanent changes in color, form, and structure, are due to the persistent thinking of a certain type of thoughts that have been stimulated by the environment. For this reason we need not go, to any great extent, into the racial history of the people whose characters we wish to analyze. The racial history, insofar as it affects the character, reveals itself in the physical form. Of more importance than racial history is the history of the soul as it evolved through the various lower forms of life. Its character when born into the human form depends upon the states of consciousness organized in its astral body before human birth. Whatever tendencies were most strongly accentuated by the demands of environment previous to human birth will be most strongly accentuated—due regard being paid to it now functioning on the human plane—in the human character. The human character is but the expression, on the human plane of endeavor, of all the characteristics previously acquired. But as through the Law of Affinity a soul is attracted to parents whose vibratory rates at union correspond to its own vibratory rates, it is attracted to a race corresponding to its own qualities. And as the same thought cells that constitute the character likewise tend to give the physical body its texture and form, from the bodily form we can infer the type of experiences in the soul’s past that have developed the character, as well as read the character itself. We find in astrology that any thought-cell family may be quite as powerful in one person as another, yet manifest through different departments of life. For instance, one person may be selfish where money is concerned, but not selfish about his family and friends. Another person may be very selfish where family and friends are concerned, and not very selfish about money. The selfishness, in each instance, may be due to an overdevelopment of the Safety thought cells—astrologically ruled by Saturn—but in one instance organized about finances, and in the other instance about friends and the family. Therefore, we must be cautious in our interpretations not to confuse the very weak development of a group of mental elements with its expression in a single channel, for the element may be there but express through a different department of life in one person than in another. From the color white all the visible light rays are reflected. It is the positive color. From the color black none of the visible light rays is reflected. It is the negative color. Furthermore, black skin through its absorbent qualities protects its wearer from the actinic rays of the sun. Fair skin is adapted to a region of less intense sunlight where such protection is unneeded. Blonds are blonds, however, because the Power thought cells and the Aggressive thought cells are powerful in the astral body. This means astrologically the Sun and Mars are prominent in the birth chart. Brunets are brunets because the Safety thought cells and the Domestic thought cells are powerful in the astral body. This means that Saturn and the Moon are prominent in the birth chart. Blonds love power. They like to dominate others. They like to handle large affairs. They have executive ability. Brunets are more submissive. They do not like too large responsibilities. They are good managers where aggressiveness is not required, and excel in administration. Blonds act quickly and have great strength. Brunets act more deliberately and have greater endurance. Blonds are inventive, creative, resourceful and original, but dislike the tediousness of carrying out their plans. Brunets are more patient, painstaking and thorough, and tend to finish what they start. Blonds are hopeful, fearless, restless, and ever willing to take a chance. Brunets are meditative, more quiet, careful, conservative, and cautious about a hazard. Blonds love excitement and the crowd. They love to mix with people. They like change and variety, and this is true even of their affections. Brunets love the home, their friends, and their immediate associates, but are not so fond of crowds. They are more constant in their likes, and in their affections, and resent too much change. Blonds love new friends and pioneer work, and are given more to generalities. Brunets love to remain at home and develop the immediate resources. They are given to specialization. Blonds tend to express themselves in physical action, and in terms of concrete material results. They thus may become scientists. Brunets tend to express more through their emotions. They are more mystical, more religious in the devotional sense of the word, and may become philosophers. Blonds have a genius for government. Brunets prefer to let others govern that they may have time and energy for something else. Blonds are creative and inventive. Brunets are imitative, and improve and perfect the inventions of the blonds. Blonds fall in love quickly, and out of love quickly. Brunets fall in love more slowly, their emotions are more intense, and their affections are more enduring. Blonds tend to brilliancy. Brunets tend to painstaking and thorough accomplishment. Blonds are much more apt to dissipate than brunets. Brunets are much more apt to seek revenge than blondes. Blonds want action, they want facts, they have little patience; and concrete things and commercial interests appeal to them. Brunets are dependable, they want theories and reasons, they have patience and endurance. Art, religion, literature and philosophy appeal to them. In sickness the blond tends toward the acute complaints, the brunet toward those that are chronic. It should be understood, in drawing these comparisons between blonds and brunets, that blondness and brunetness constitute but one of several factors that always must be considered, such as the type of body, general proportions of the head, and the tendency of the profile. Nevertheless, blondness or brunetness will modify the character as judged by the other factors perceptible toward the traits enumerated above. That is, no matter what the other factors indicate, blondness or brunetness must be considered as modifying what otherwise is indicated. The typical blond has a fair or ruddy skin, flaxen hair, and blue eyes. The typical brunet has dark skin, black hair, and dark brown eyes. A person with dark brown hair, a skin neither dark nor light, and blue eyes, has some traits of both blond and brunet. Likewise a person with light hair, a skin neither dark nor light, and brown eyes, has some traits of both blond and brunet. Which type of tendencies will predominate may be determined, if two of the three factors—hair, skin, and eyes—agree, by casting the deciding vote somewhat in favor of these two. But where hair or skin is neutral, being about halfway between, the predominance is shown by the eyes. That is, if the hair is light and the skin neither dark nor light, and the eyes are decidedly brown, it indicates more of the brunet tendencies. Or, if the hair is black and the skin is neither dark nor light, and the eyes are blue, it indicates that the blond tendencies are more powerful. The color of the eyes is a stronger index to the blondness or brunetness than the color of the hair. Now having decided at a glance that a certain person is a blond or a brunet, and at the same time noting that the bodily build, the proportions of the head, and the profile—all factors that need but a single glance to ascertain—do not counteract, in any marked degree, the tendencies shown by the complexion, let us see what practical application may be made of these observations. If a person applying for a position as a salesman is a blond, we decide that such salesmanship as he possesses can best be exercised through going out and getting business. If he is a brunet, we decide that he has not the kind of initiative to go out and hunt business, but that he has the patience, the desire to render service, and the carefulness, to stay in a store, or place of business, and successfully transact the business that comes to him. Blonds, by temperament, are business-getters, but through impatience with details it often becomes necessary for them continually to hunt business, because they do not properly take care of what they get. Brunets, on the other hand, are business builders. They are steadfast and reliable, and take pains not to lose a customer. In management they are careful and systematic, and in their investments are conservative. They are consistent and persistent in their policies. Neither should it be lost sight of that the blond likes the new, the novel, the exciting; and that adaptation to new circumstances is the very essence of his life. The brunet, on the other hand, cares little for new fields, and finds it most difficult to adapt himself quickly to changes in circumstances or environment. Therefore, a blond should not be given monotonous detail work, nor work that requires a set routine. The brunet loves routine and excels in it. He thus becomes a good mechanic and an excellent manufacturer. Almost every broad field of endeavor offers certain positions that may best be filled by blonds, and others that may best be filled by brunets. Journalism, for instance, appeals to blonds in the department of getting news, or in the capacity of traveling correspondents; while it gives opportunity to the brunet to write sober articles, or editorials, that they have had time painstakingly to prepare. In artistic and dramatic work blonds excel where short periods of strenuous work are required and where they influence people by their personalities. Brunets excel in those departments that require long tedious preparation, the monotonous work of developing technique over years of time. In business, a partnership between a blond and a brunet is often greatly to the advantage of both. The blond develops schemes for expansion, and exerts himself toward the rapid development of the business. The brunet sees the flaws in those of the blond’s plans that are faulty, and curbs the tendency to overexpansion, at the same time giving the needed attention to the details of the business already built up. Where quickness, alertness, adaptability and initiative are required, the blond finds his best field of expression. Where reliability, persistence, reflection, and carefulness are required, the brunet finds his best opportunity. To interest a blond, talk to him of sport and adventure. Tell him something new and startling. Speak of the progressive side of your business. He is naturally optimistic, and will enjoy looking at the bright side of things. Material advantages appeal to him. If you have something to sell him, or something you wish him to do, appeal to his enthusiasm, to his love of power, of display, and of publicity, and then get his decision before he becomes interested in something else. Although he may change his mind later, he tends to make his decisions quickly. To interest a brunet appeal to his emotions. His friends, his home, his religion, his philosophy, his sentiments, are interesting to him. Matters that have to do with the home environment and his safety, both now and in the future, will appeal to him. The artistic and the beautiful are themes that to him seem important. If it is to mutual advantage that he should follow a certain line of action, give him plenty of theoretical reasons, show how it will conduce to his ease and comfort, and give him plenty of time to think it over. He will not be carried away by enthusiasm like the blond, but he may be urged more, for the blond will quickly resent something forced upon him. The brunet, however, needs time to reach his decisions. The blond employer likes to know he is the master, and he likes obedience from those he employs. He likes to see a good showing in the work at hand, and very much dislikes having his own mistakes pointed out. The brunet employer is not so fond of exercising his authority, but he demands system, thoroughness, and attention to details. The blond employer is more apt to change his opinion from day to day than the brunet. These outstanding characteristics of blonds and brunets might be carried into every occupation and into every department of life, and the reactions, and abilities, and tendencies, of each type pointed out in connection with them. I believe, however, that the brief contrast in temperament already outlined will be sufficient to enable the student, by using a little ingenuity, to picture to himself the manner in which a blond would feel and act differently than a brunet under almost any conceivable situation. This knowledge is of value in selecting a vocation, in employing others, in working for others, and in dealing with others in various ways. It is knowledge that may be used to influence others, but this may legitimately be employed only where it is of mutual advantage. Yet it is certainly of mutual advantage to know what one’s employer wants, or how to converse with another person without stirring up antagonism. And the very things that please a blond are often those that displease a brunet. 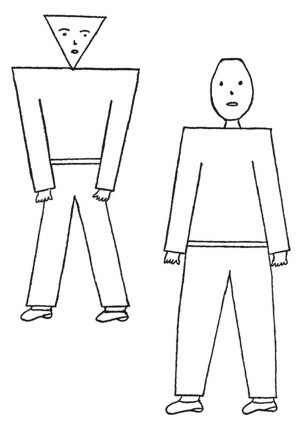 Another thing that commonly registers on our consciousness instantly when we meet a person is the size, contour and bodily proportions. One will hear persons described, rather vulgarly, to be sure, but nonetheless accurately, as a fat blond, a tall, bony brunet; a frail, nervous man; a florid, vivacious woman; a well-muscled youth; and so on. The universal use of such terms in describing people to those who have not seen them, or as a means of identification, indicates that these are physical characteristics that are most readily noted. Consequently, as it requires no special development of the powers of observation to recognize them, we may well make them the objects of our next consideration. Considering the human body very broadly we find that it embraces seven somewhat distinct systems, each presided over by one of the seven lower-octave planets and cooperating for the welfare of all. There is the bony system, presided over by Saturn, which affords stability and support for the body as a whole. The bones are the framework to which the muscles are attached, and without them man could neither stand nor resist pressure from the outside world. Then there is the muscular system, presided over by Mars, whose function, by virtue of its contractile fibers is to afford physical movement. The alimentive system, governed by the Moon, prepares the food taken into the body in such a way that it can be used for fuel or to restore wasted tissue. The arterial system of the bloodstream, ruled by Jupiter, carries the food, and oxygen from the lungs, to the tissues where needed. The venous system of the bloodstream, presided over by Venus, carries away the waste products, delivering them to the organs whose duty it is to dispose of them. For character analysis purposes it is more convenient to consider these systems ruled by Jupiter and Venus as one circulatory system and thus related to one easily recognized bodily type. The endocrine gland system, governed by the Sun, exerts a directing and controlling power over the other six systems. Its prominence, however, is more easily recognized by the height of the head above the ears than by a special type of body. But the nervous system, ruled by Mercury, at whose apex is the brain, whose organic wires carry messages to the other six systems, and which is responsible for all objective processes of thought, expresses its outstanding prominence in a characteristic type of physical body. The seven complete systems of the human body as a rule are not equally prominent in one person. Instead—omitting the endocrine glandular system type and merging the arterial system and venous system into one circulatory system type—more often than not one of the five types is prominent enough to give a quick classification. Of course, some people are so nicely balanced that the preponderance of one of the five systems is not easily noted. But in the majority of people we meet, a first glance reveals the accentuation of one or more of them. Inelegantly we say that a person is rawboned, meaning that the bony system is so prominent as at once to catch the eye. We say of another that he is decidedly muscular, or athletic, acknowledging the dominance of the muscular system. A third person we speak of as being heavy, or fat, indicating that the alimentive system is so active that it has produced a surplus of flesh. A fourth person we speak of as being vivacious, indicating that the strength of the circulatory system and the consequent supply and oxygenation of the blood is such that there is an appearance of unusual life. Of still another we say he is of the nervous type, or mental, indicating that the brain and nervous system are developed proportionately more than the rest of the body. Now if the bones have developed proportionately more than the other systems of the body, it indicates that there are certain thought families in the astral body, which as the physical body grew, were powerful enough to select more material from the blood than other thought families were able to select. The fact that the form is bony indicates that there are thought structures in the astral body of the particular type that correspond to this bony structure. In other words, the chief qualities of the character stand in the same relation to the average character of mankind as the chief system of the body stands to the average bodily structure of mankind. Therefore, as a preponderance of bony structure gives unusual rigidity, firmness, strength, resistance and awkwardness to the body; so do these imply thought cells in the astral body which cause the character to be unusually unbending, strong, fixed, firm, conservative, and undiplomatic. If we keep in mind that the external form is the expression of internal attributes we will not go far wrong in our judgment of character. We might very well use more elegant terms than bony, muscular, fat, vivacious, and mental, to designate the types under which mankind may be classified due to the preponderance of one of the five great bodily systems. However, as our aim is to classify them instantly, it will be of advantage to have such a name to designate each type that it comes spontaneously to mind. The names mentioned do not need to be learned; they instantly suggest themselves. The bony person, of course, is one in whom the bones are noticeably large in proportion to the rest of the body. He may be either large or small, although more often he is tall. His elbows, wrists, ankles, and other joints are prominent. There is an appearance of physical rigidity that is difficult to mistake. He looks rugged and immovable, and often has a prominent “Adam’s Apple.” When he sits in a chair he does not slouch, nor does he twist and turn when seated. He sits deliberately, and sits rather straight and immovable. When he walks he swings along with deliberation, without looking much to either side, and turning as little as possible from the direction he has chosen. The face is rather angular also, tending to be long rather than broad. The cheek bones are often high and prominent, although not noticeably the widest portion of the face. The body and the face do not impress one as being triangular, round, hexagonal, or square. They give the impression of an oblong, and the general contour is rugged rather than smooth. The hands also are oblong and the knuckles of the fingers being large gives to them a gnarled appearance. In astrology we find that Saturn rules the bony framework of the body. We find also that Saturn rules the Safety thought cells. This does not imply that the bony person is timid, or that he avoids difficulties, for the Safety thought cells obviously have not here been evolved under conditions demanding flight. In its evolutionary past the soul has had to provide for its safety through resisting the encroachments of environment. By its ruggedness, tenacity, fixity of purpose, and ability to endure hardships and yet live, it has provided for its safety. Not by conforming to changes in environment, but by building up organisms that would compel the environment to adapt itself to them, has such a soul made progress. Plodding persistence in the face of all obstacles has so organized the thought cells in the astral form that when human birth takes place they tend to the growth of a body of the bony type. And we shall find, in analyzing the character of the bony man and woman that the keyword best describing them is INFLEXIBILITY. The muscular person is one in whom the muscular system is more in evidence than any of the other four systems. He may be large or small, although when typical he is not over medium height. He has not the rawboned appearance of the bony man, nor the plump appearance of the fat man, but a certain well-built appearance. His bones are well covered with muscles, but with little or no excess fat. His appearance does not so much suggest rigidity as physical force. And he confirms this by his actions. He speaks with a loud voice. When he walks, he steps with vigor. When he sits down, he does so solidly and with energy. His neck is not fat, neither is it long, but strong and thickset. His shoulders are square and his arms unusually long. When he shakes hands there is nothing half hearted about it. In fact, in all his movements force and decision are discernible. The face is not so rugged as that of the bony man, for muscles better cover the bones. Neither is the face so long. It has, when viewed from the front, a decidedly square appearance. This is the “iron jawed” man we sometimes read about, the jaw being decidedly square. Not only, as mentioned, are the shoulders square, but the whole contour of the body, instead of being long or plump, impresses one with its squareness; The hands also, instead of being pointed like the vivacious hands, or rugged like the bony hands, or soft like the fat hands, or frail like the mental hands, are well muscled, of the type known as useful, the tips of the fingers, and the outline of the hand as a whole, being square. In astrology Mars rules the muscular system. It also rules the Aggressive thought cells. In supplying the needs of the organism, as well as in repelling invasion, rapid movement is a great asset. Activity is also useful in flight, but those mental factors which are responsible for building up a proportionally large muscular system in man have largely been organized in the soul’s past evolution through strife and conflict. The muscular man, tending to shortness and heavy-setness rather than to length and slimness, is better fitted by his strong muscular development to fight than to run away. Not by fleeing from antagonistic factors in the environment, but by fighting and overcoming them, has such a soul made progress. Tireless energy and ceaseless movement have so organized the thought cells in the astral form that when human birth takes place they tend to the growth of a body of the muscular type. And we shall find, in analyzing the character of the muscular man and woman that the keyword best describing them is ACTIVITY. The fat person is one in whom the results of the activity of the digestive and assimilative functions are more markedly in evidence than any of the other four systems. Owing to the undue activity of the system that takes care of the nutrition of the body there is a surplus of fatty tissue. The bones of the typical fat person are not large, but are well padded with soft, spongy flesh. As a consequence, in sharp contrast to the bony type, the joints are the opposite of being prominent, being marked rather by depressions. The suggestion is that of plumpness, and often there is a large waistline or ample hips. 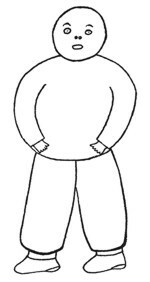 The lines of the fat person are neither oblong nor square, but are curves tending toward the circle. The body is rotund and largest at hips or waist, the shoulders are sloping, the face is circular. The hands are short, plump and soft. The fingers are round, the neck is short and round. These people do not move much, resent being hurried, and when they do move, take their time about it. They usually lack grace in action, and when they sit down, rather slump into their chairs. In astrology we find that the alimentary system is governed by the Moon. The Moon also governs the Domestic thought cells. These Domestic thought cells relate to the home life, to providing for the family and to rearing the young and taking care of the helpless. These thought cells have not been organized as structures within the astral body by seeking to resist changes in environment, or through activity triumphing over them. They have been organized through the utilization of materials for sustenance. The selection of an enjoyable home, free from the rigors and inclemencies of the weather, and the stocking it with ample provender, has been a decided factor in such a soul’s progress. The recurring desire to procure these pleasurable conditions has so organized these thought cells in the astral form that when human birth takes place they tend to the growth of a body of the fat type. And we shall find, in analyzing the character of the fat man and woman that the keyword best describing them is COMFORT. The vivacious person is one in whom the circulatory system of the body in proportion to the other four systems is unusually strong and active. Because the arterial stream distributes oxygen and nutrition so thoroughly, and because the venous stream removes the waste products of combustion so quickly, there is an unusual amount of buoyant vitality expressing itself continuously in thought, feeling, and action. To pump the large amount of blood to supply the vivacious person adequately with oxygen there must be ample room for heart and lungs, and as a consequence the chest is high and the waist long. The greatest circumference is that of the chest, rather than around the abdomen or hips. Also, on account of the strength of the bloodstream, there is considerable color to the skin. That is, the face and neck flush easily, or in extreme instances, there is a decided tendency toward being florid. Either blonds or brunets may belong to the vivacious type, as recognized by the bodily form and the tendency of the skin to redden easily under emotion or excitement. More red-haired people, however, belong to this type than to any of the other four. The face is broadest at the cheek bones, which are unusually high. This gives the face something of a hexagonal (six-sided) appearance. It tapers above and below from the cheek bones, but not to a point, the top of the head and chin forming the top and bottom sides of the hexagon. The body, likewise, has something of this hexagonal appearance, tapering from the chest to the feet and from the chest to the head, the head and feet forming the two sides of the hexagon. The feet are long with high instep, and the hands are of the pointed type, the fingers long and tapering. In astrology Jupiter rules the arterial system and Venus the venous system of the blood. They rule also the Religious thought cells and the Social thought cells respectively. These thought cells have to do with responding by the individual to a complex set of relations governing his contact with other entities and forces in nature by which he is surrounded, and to a complex set of relations governing his conduct to other individuals of his own species. These thought cells which externalize as the vivacious type have been largely organized in the soul’s past evolution through ready and adequate response to complex stimuli. Through a rapid and temporary adjustment to ever-changing conditions in the environment has such a soul made progress. Instantaneous and energetic response to complex demands of the environment have so organized these thought cells in the astral form that when human birth takes place they tend to the growth of a body of the vivacious type. And we shall find in analyzing the character of the vivacious man and woman that the keyword best describing them is RESPONSIVENESS. The mental person is one in whom the brain and nervous system are more fully developed than any of the other four systems. The head is large in proportion to the size of the body. The body tends to be frail. The fingers are smooth and the hands rather thin and delicate. The body appears widest at the shoulders, tapering toward the feet. The head appears widest near the top, tapering toward the chin. Thus the mental person suggests a triangle with the point down. The movements tend to be jerky and uncertain without the force of the muscular person or the elasticity of the vivacious type. There is discernible a certain lack of physical power. In astrology Mercury rules the nervous system. It also rules the Intellectual thought cells. In adapting itself successfully to any condition of life, perhaps nothing is quite so valuable to an organism as intelligence. The repeated use of intelligence is responsible for building up those thought cells in the astral body that when the human form is attained externalize as a large brain and exceedingly sensitive nervous system. Not by fleeing antagonistic factors in the environment, not by enduring them stoically, nor by fighting them, has such a soul made progress. It has outwitted antagonists and circumvented obstacles. Through the ceaseless use of intelligence it has so organized these thought cells in its astral form that when human birth takes place they tend to the growth of a body of the Mental type. And we shall find, in analyzing the character of the mental man and woman that the keyword best describing them is THOUGHT.